Comments:	 Designed by Clark & Standfield and provided a 10,000ton lift capacity. 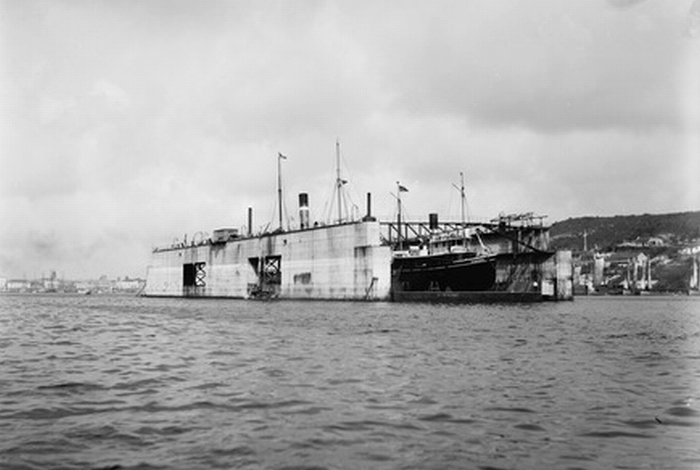 Comprising five moveable pontoon sections within two continuous outer walls. 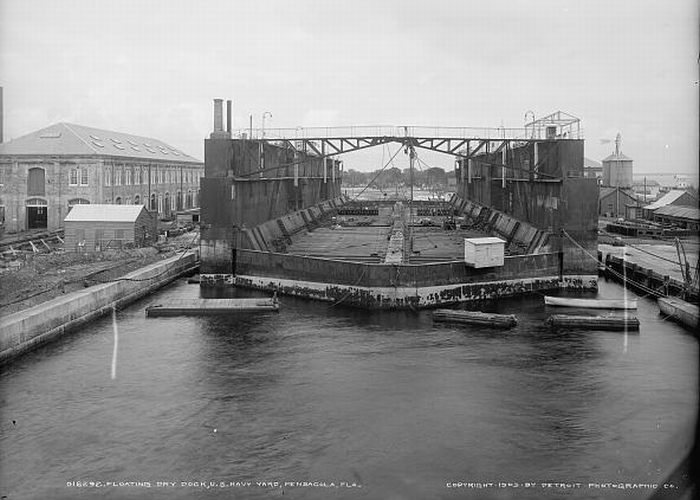 dry dock at Havana from Spain which was towed to Pensacola Navy Yard. This dock was used in conjunction with the wet basin for many years. September 1906, required extensive repairs to the yard. 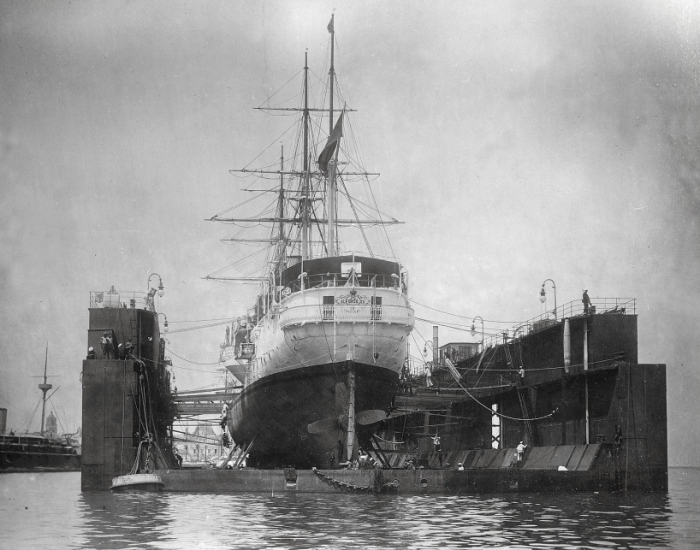 In 1911 the yard closed and it did not reopen again until 1914. What happened to the dock and was it Swan & Hunter's Havana Dock?